Heya! Hope you’re having a great Friday! I’m really jazzed because I finally had a chance to try something that I’ve always wanted to: transferring an image on wood! 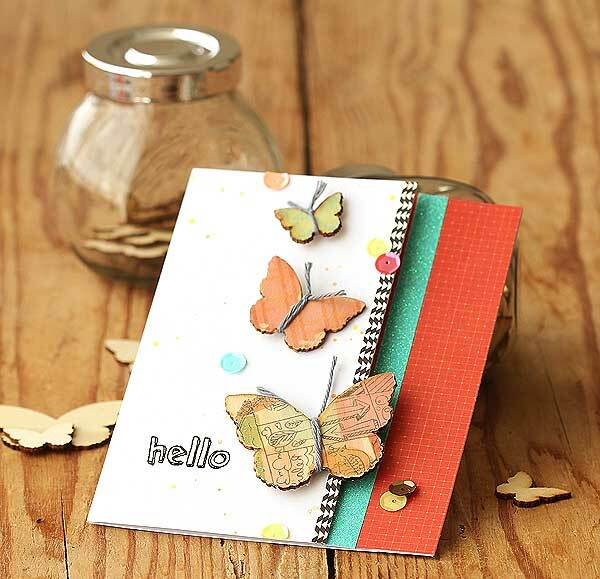 I started out by gathering my supplies — I thought these Studio Calico wood veneer butterflies would be perfect for it! But any wood shape will work. 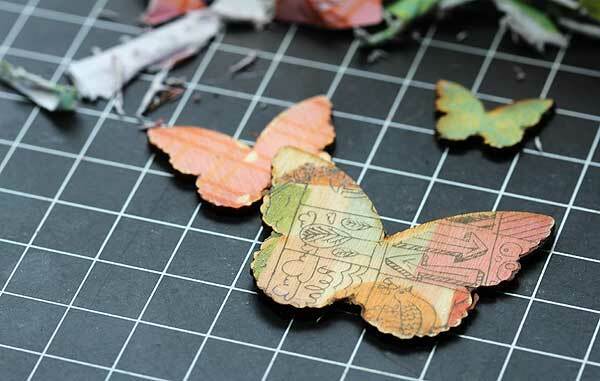 Next I put a coat of Claudine Hellmuth gel medium on each butterfly and adhered it to a paper scrap, so that the pattern-side and the wood were touching. Then came the hard part — I let it dry overnight. So hard for an impatient girl like me to wait! This morning I ran the dried butterfly under some water and let it sit for a few minutes to allow the water to really soak in to the paper. Then I rubbed the paper off and ta dah! 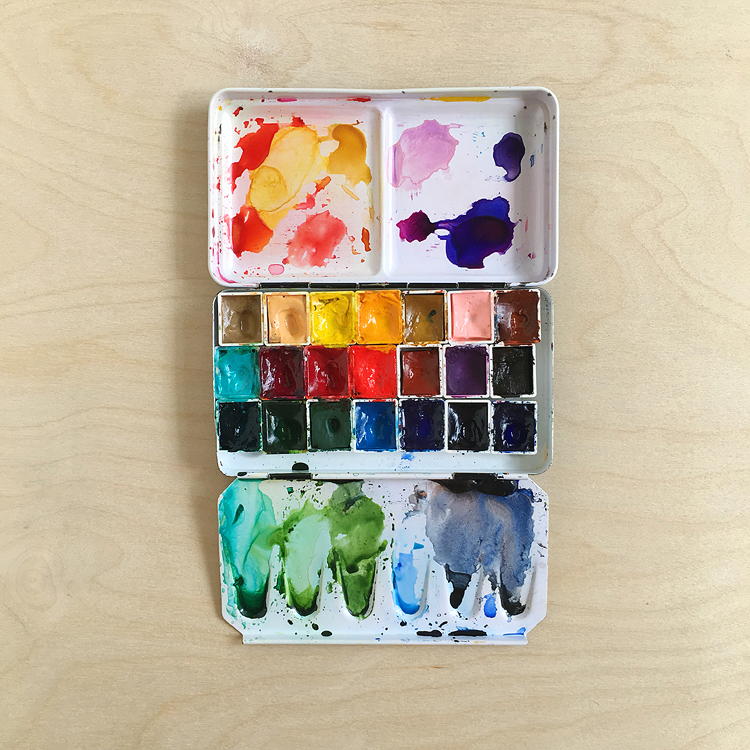 Here’s a quick little video I took with my iphone to show how I rubbed off the paper — it really transfered to the wood. How cool is that!?! I mean, my jaw was hanging open while I did it. It’s like magic! And here’s the finished card! I trimmed off an edge so that the butterfly could really seem to fly! Gonna have to try this again soon with more wood shapes. And I have to say, I can’t get enough of this American Crafts glitter tape. So awesome. Oh and sequins! I’m really on a sequin kick right now too. What a great technique. I’ve got a ton of little wooden blanks lying around (buying them seemed a good idea at the time) now I know what to do with them. Thank you. 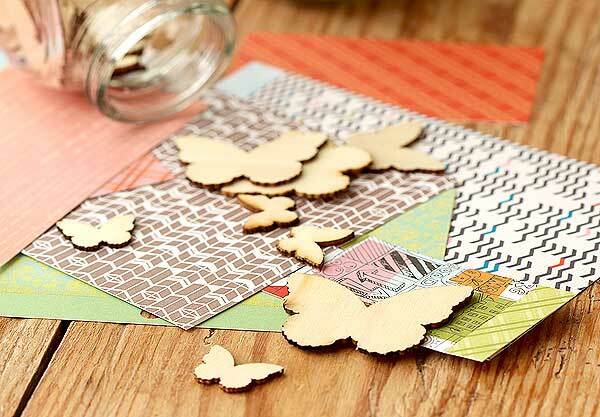 I used to do this with pictures from magazines, never thought to use patterned paper. What a great idea! Thanks so much for sharing, Lisa. 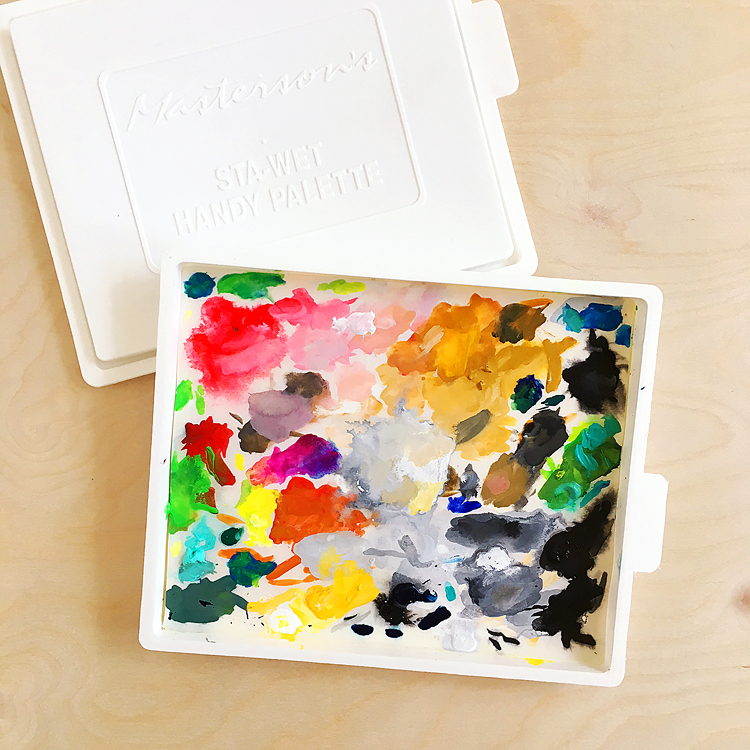 Your finished card is a delight! 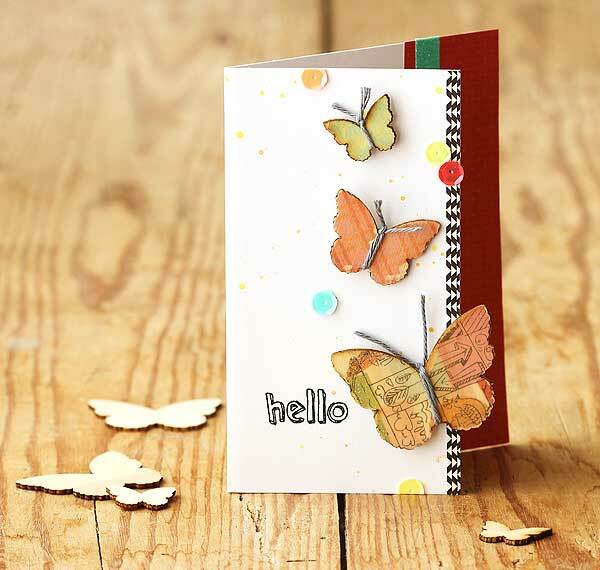 Such a gorgeous card, Lisa (and a brilliant idea). The transfer looks amazing on the wooden pieces! 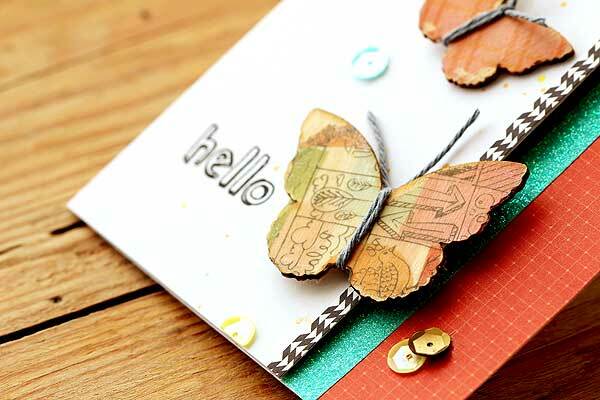 I’ve seen several videos using this technique including one by Claudine herself- none made my jaw drop like yours did- the card is STUNNING and the butterflies came out super duper CUTE!!! Thank you so much for reminding me I have to try this! I saw two other videos on Vimeo as well- all three are wonderful! Such a magical technique! Mine turned out nearly as cute as yours! TFS! I absolutely love this technique! Will try it for sure! Thanks for sharing this fantastic idea!